Maryanne welcomed everyone. She also showed us the Facebook pages. 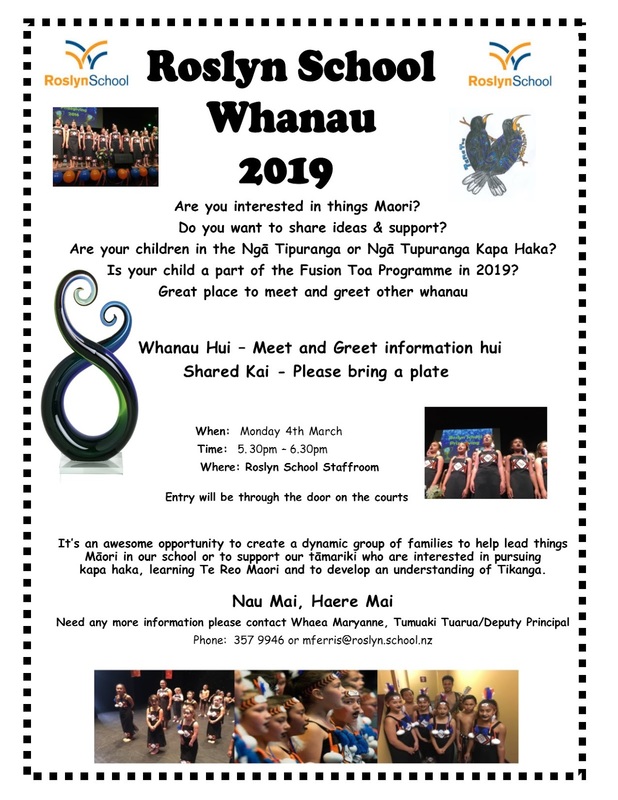 Encourage our whanau to join the pages so that we can keep up to date with what is happening. Also showed the school website, with the different website link. Collaborative discussion was held with the Nga Tupuranga and a decision to focus on the Regionals not Te Pae Tamariki. Nga Tipuranga with support from a few older students. 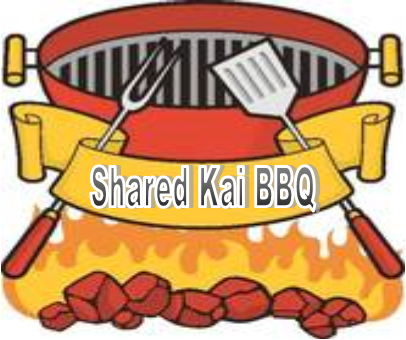 We will need a ratio of 1:8 so are hoping we will get a lot of support from whanau. Performance time will be 11am for approximately 20 minutes. 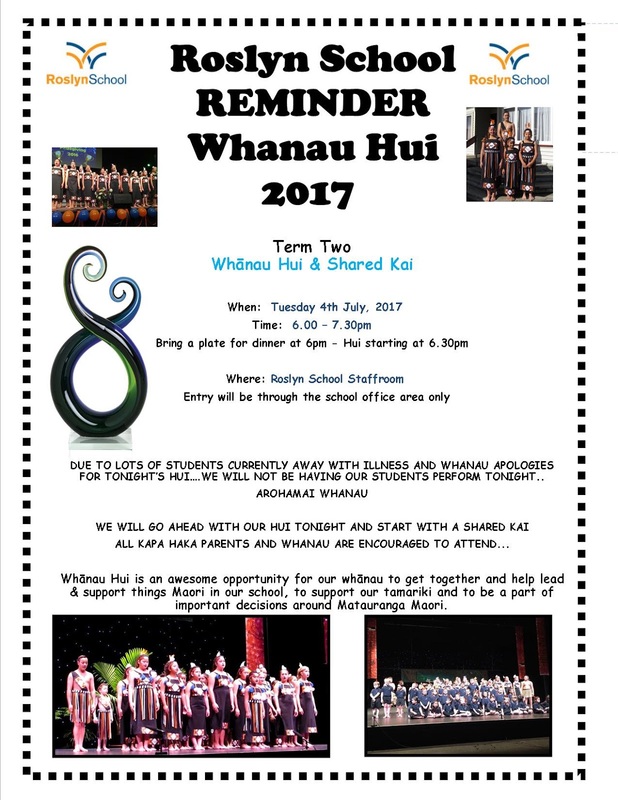 Whaea Sandy, Whaea Ollie and Pa Dean are supporting the students, along with Whaea Judie. Nga Tipuranga performed at Barnardos last week and this was very well received. Judie will catch up with Vanessa to get some photos on our Facebook page to showcase what we are up to. Shane shared information about this. It is on the 9th November. So far there are about 14 groups registered. Depending on how many register by the date, there will be the top three groups will go forward to Nationals. The group needs to perform seven items. Using weaponry is part of the performance. The group are currently using rakau and patu for now. It is planned to have a couple of overnight stays to build on the learning. Being able to show there is progress between the junior school and the senior school with both Nga Tipuranga and Nga Tupuranga is a huge plus for the school. Great to have such a wide range of cultures involved in Kapa Haka. Tama Toa has been in place for two years now and Wahine Toa has just begun this year. Resources are required for these groups. Maryanne shared the report on these groups. This included an overview of what the groups are covering. The Wahine Toa group performed at the Youth Space on Friday night as part of the Flashmob. This was very successful and an awesome experience for the girls. One of the aspects is Oral Language so looking at Manu Korero - speech competition in Te Reo Maori. The goal is to move this knowledge to the Junior school. Teina Tuakana korero. Encourage as many whanau to attend during the day. Looking at holding a Hangi as one fundraiser. Pa Jase is currently looking into this. 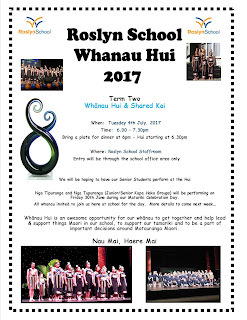 It will be nice to get a putea (nest egg) to be able to support all things Maori in the school. Money fundraised will be used for things Maori…. This is held on Wednesday’s after school. There is also a small core group that attend Raranga (weaving). This is a great opportunity to build on skills and knowledge of all things Maori. ERO visited in Term 1. Our confirmed report is on the school website. 42% of our school is Maori. The report is quite positive towards things Maori within the school and the marked improvement from last visit. We read through the report together. BOT: Leanne is one of our parent representatives on the BoT. Leanne gave a bit of a run down of the Board and how it works. Gave a bit of a plug for having more Maori whanau on the Board would be great as it would help give a wider cultural lens to the Board. If any whanau would like to know more, feel free to talk to any Board member or Whaea Maryanne. We have seen some vast expansions of all things Maori at the school. Shane shared that he has felt it a privilege to be part of that growth and development. Because of this, Shane has proposed a notion that we look to provide the school with a name with what has been completed. The name that Shane has thought of is Te Puna Matauranga o Roslyn. This is the well of knowledge that our children/tamariki are surrounded with when they are at Roslyn School. There would be work to do around this to ensure the name was applicable and then would need to go to the Board for approval. Many schools always translate their school in Te Reo by saying/recording Te Kura o _______. If possible after discussions etc Pa Shane has suggested we look at using Te Puna Matauranga o Roslyn rather than Te Kura o Roslyn. 6.30pm Kua Mutu - Karakia Whakamutunga - Finished with Karakia at 6.35pm. To do at next Hui: Possibly having a second whanau hui at the end of the term to have a learning night - around Treaty of Waitangi in Education and also the narrative of the names of our school blocks of the classrooms. This has been shared with staff and BOT and was discussed briefly at the last Whanau Hui but it is good to talk about it again. Everyone was in agreement with this and was quite excited about it. Whanau were very interested in the korero this evening. A night to be confirmed. Nga mihi ki a tatou whanau. Matariki Hui - Hangi (Pa Jason) or he will send info out to whanau. Welcome back, 2018...Nga mihi nui ki a koutou katoa. I wonder what this year will have install for us all. It is fantastic to see all our whānau returning back for another year and the many new whānau who have started this year. Nau mai haere mai. We would like to start the year with a whānau bbq in week 2. We do this each year and have had a good turn out in the past. 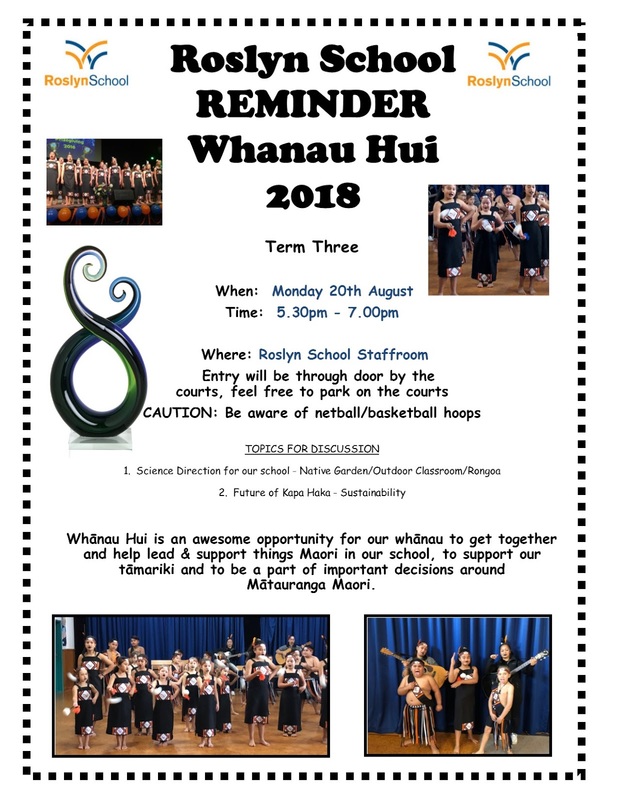 All past, present and new whānau members are more than welcome to come along. 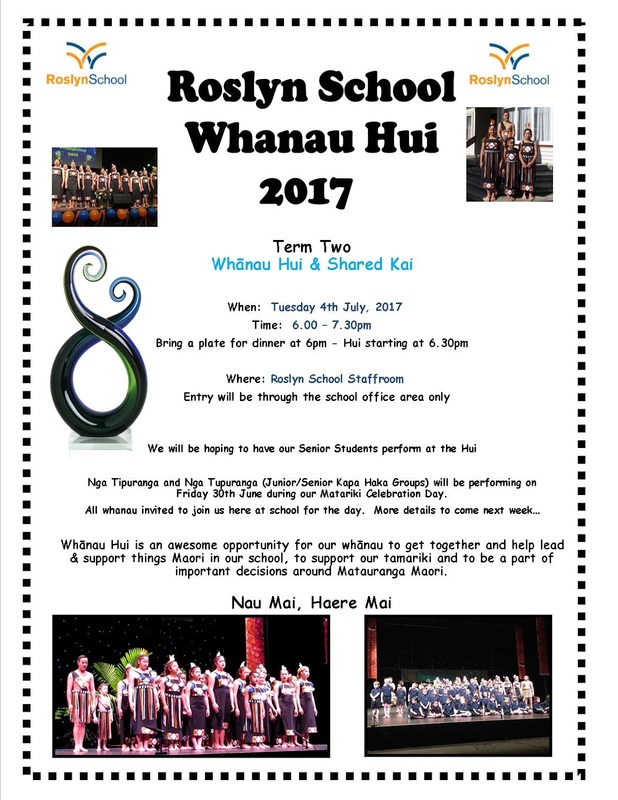 I would like to definitely see our whānau supporting us by attending and also whānau who have students in our Kapa Haka to come along.